The young women of Irish birth or descent listed below will be vying for the honour of being the 2018 New Zealand Rose of Tralee, to succeed Niamh O'Sullivan, the 2017 Taranaki & New Zealand Rose of Tralee. 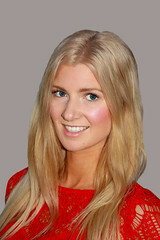 Jenni is a 25 year-old Irish physiotherapist, originally from Kilkenny, Ireland. She moved to New Zealand almost two years ago, and is loving being here! She says she moved "to begin playing (and loving) Gaelic football and camogie". She has played two seasons with Celtic GAA club and hopes to play many more. Jenni has a very active group of friends, so most weekends include hiking/camping or a road trip somewhere. The National Rose Final will be her second visit to New Plymouth, but it promises to be somewhat different from the first visit, which included climbing Mt. Taranaki! 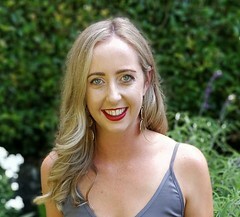 Jenni and her younger sisters made a pact as children that they would enter the Rose of Tralee, So she finds it amazing that she will be at the New Zealand selection. She says "I had a fantastic day at the Auckland Rose selection and hope to continue these experiences in New Plymouth." 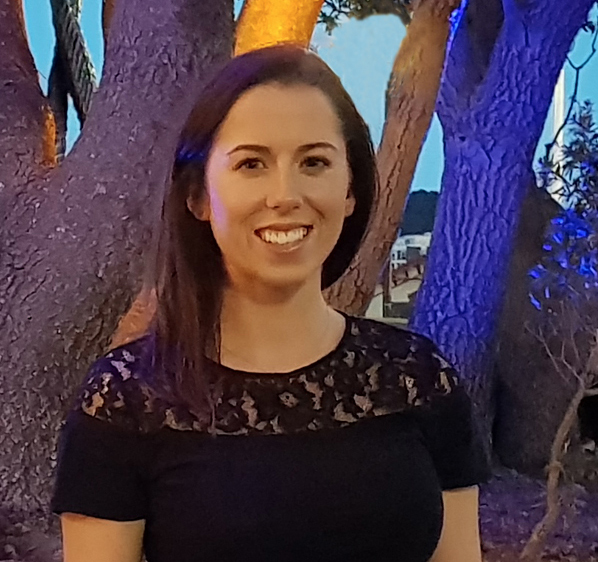 Erin is a 26 year old physiotherapist at Taranaki District Health Board, enjoying her role as Clinical lead in Acute Inpatient care after returning to NZ after two years of travel. Having visited family in Ireland, Erin feels a true connection to her heritage and has enjoyed learning the history of her families. Erin's maternal great great Grandparents emigrated to NZ in 1880 from Farranfore, County Kerry and County Tipperary. Her maternal, paternal great great grandparents were from Clonlara, County Clare and some of the family emigrated to NZ approximately 1867. She enjoys travelling, craft beer, new experiences, challenging herself both professionally, personally and physically. She believes Taranaki has the perfect combination of socialising, outdoors, culture and loves being close to the beach and her family farm. Rebecca is a 24 year old, currently working as a press secretary administrator in the Office of the Prime Minister. She has two degrees in Arts and Commerce, with majors in history, Pacific studies, international business and management, and minors in Asian studies and marketing. 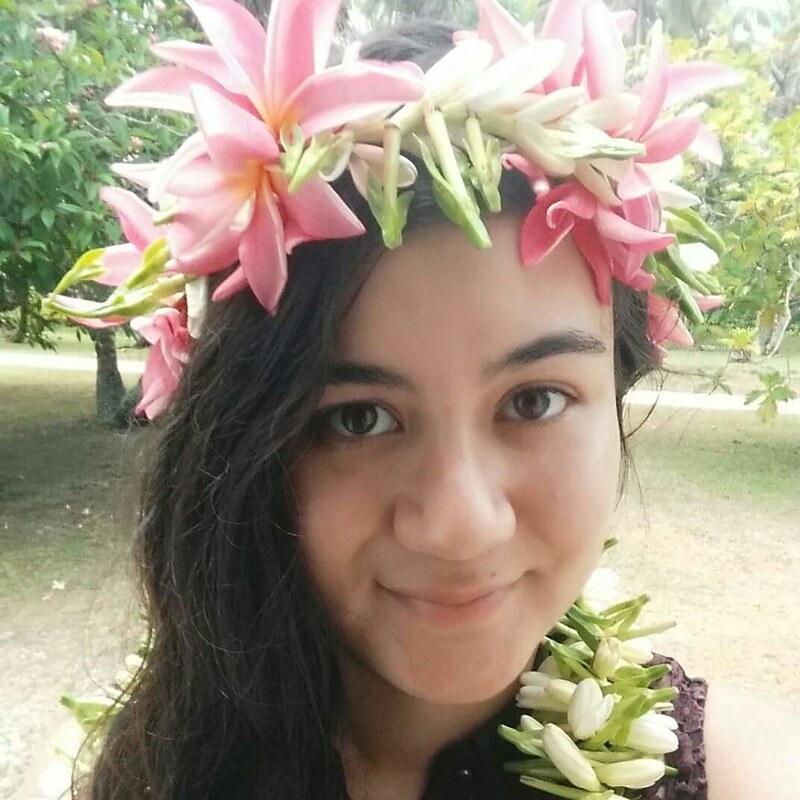 Her dad was born in Belfast and her mother in the Cook Islands. Her hobbies include video gaming, reading and writing (novels and poetry) Rebecca is a ballroom, Latin and new vogue dancer. As well, she has interests in art, history and enjoys traveling. Longer term she wants to complete her Masters and Phd, and become a lecturer, after some more traveling. 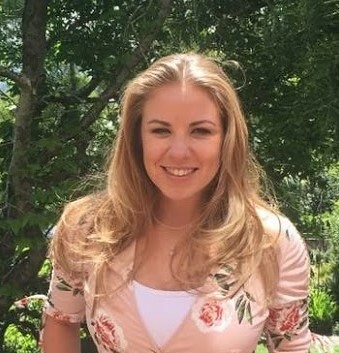 This year's Wellington Rose is Jolene McLaughlin, a 25-year old sports physiotherapist, who was raised amongst the famous hills of Donegal. Jolene made the move to New Zealand in early 2015 after graduating from University College Dublin, and has been exploring the peaks and valleys of this beautiful country since she stepped off the plane. 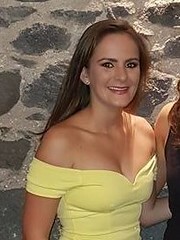 She is an active member of Wellington GFHA and, when she isn't playing Gaelic football herself, can often be seen volunteering her physio skills from the sideline in Gaelic, rugby and soccer. Jolene has also rekindled her love for Irish dancing, which she first started at the age of four, since moving to Aotearoa. Forever seeking new challenges and adventures, Jolene is passionate about creating a positive impact on the health and wellbeing of society. She is extremely proud to be part of the Wellington community and the whanau that makes this place her "home from home". Lianna was born in Nelson, New Zealand in 1992. She is one of seven siblings, having two older sisters and four younger brothers. When she was four she relocated to Christchurch where she discovered her passion for Irish dancing. 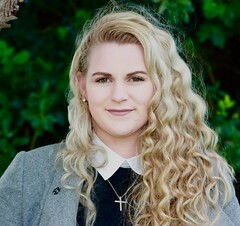 After the Christchurch earthquakes Lianna moved to Nelson to assist her granddad in the care of her sick grandmother. Lianna is now a qualified T.C.R.G (Irish Dance teacher) and a qualified chef. Lianna has found a new joy in teaching Irish dancing at the Kahurangi Irish Dance School where she is the head teacher. She would love this to continue to be her main career focus. Between teaching Irish dancing full time and juggling her career as a chef Lianna still finds time to enjoy her other activities. She is currently training for the Buller Gorge Marathon and runs regular fitness sessions for women wanting to improve their personal fitness. She says that her mother's family came from County Galway and Dublin. On her father's side they can trace back 5 generations to County Louth. She says that "Irish culture has been keep very much alive in our current generation with 5 out of my 7 brothers and sisters having been Irish dancers. I have been a two time New Zealand representative at the World Championships and of course I am now a teacher of Irish dance". Caoimhe Mary Finn was born and bred in Co Wexford, Ireland. Her mother's family hail from Dublin, while her father's family are from Cork and Kilkenny. In 2016 Caoimhe and her partner William decided to take a chance and move to Dunedin and they have never looked back. Caoimhe is the oldest of three children, her brother Ronan is studying Medicine in RSCI Dublin and her sister Sorcha is just about to head into her final year in secondary school. Caoimhe studied Drama and Performance in University College Dublin for which she was awarded the Ad Astra Performing Arts Scholarship. In Dunedin, Caoimhe works as the Undergraduate Administrator for the Department of General Practice and Rural Heath in the University of Otago. She co-ordinates all rural and GP placements for the medical students. Caoimhe also manages and teaches with Barre Base Dunedin - a ballet barre fitness company. Caoimhe is thrilled to be representing Dunedin and Otago for 2018. The Rose of Tralee is something she has wanted to do since she was a little girl and is over the moon to be representing Dunedin and Otago - her "home away from home". Caitlin is a 19 year old student at the Southern Institute of Technology, studying towards a Bachelor of Nursing. She is looking forward to graduating and utilising her degree to work overseas and would like to spend time doing aid work. Caitlin's grandparents on her paternal side emigrated from County Antrim in 1962 and her Great Grandmother on her maternal side was from Tralee. Traveling is a passion of Caitlin's and she loves the confidence it gives her. She spent three weeks traveling around Thailand where she is proud to say she conquered her fear of heights, zip-lining through the jungle. She has traveled to 9 countries and is aiming for 'thirty by thirty'. Laughing loudly is a trademark of Caitlin's and she doesn't like to take herself too seriously. She can sometimes be found making ice creams with Mr Whippy (her Dad). She enjoys reading, playing sport and has played basketball at representative level.